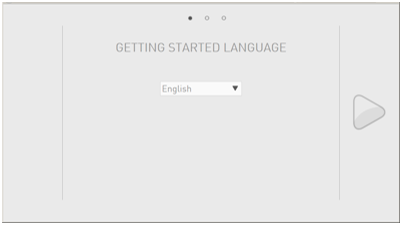 Choose the language to use in the current wizard. 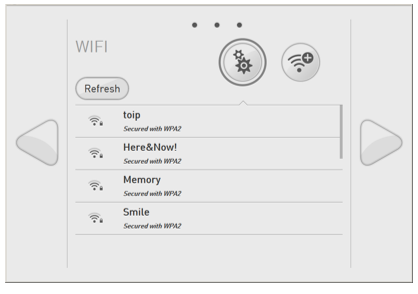 For further details, see: Why setting a WiFi connection. 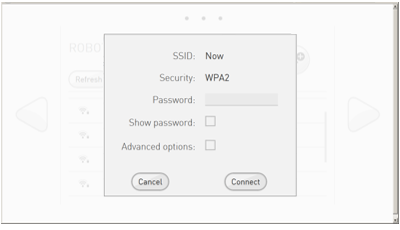 Complete the required parameters, and click the Connect button. Tips: Do not remove the cable yet: the wizard requires the Ethernet connection. 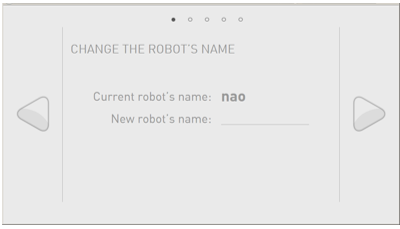 Customize the name of your robot. This is useful if you have more than one NAO. 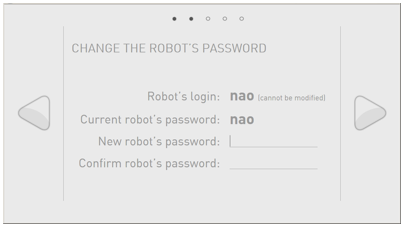 Change the password securing the access to the robot. 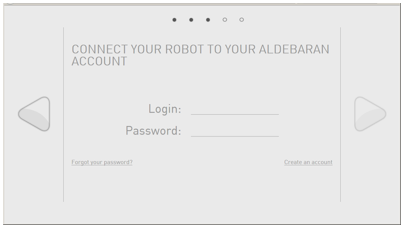 Robot’s password is mandatory to connect to the robot and to its Web page. 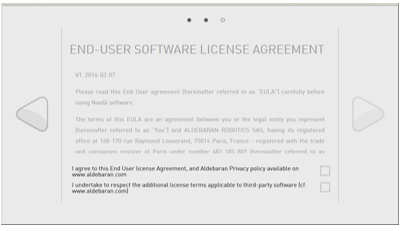 Complete the login and password you used to access to the Aldebaran Cloud. You have customized the name of the robot. 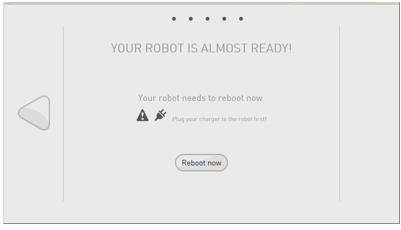 Make sure the robot is fully charged, or better, plug the charger, and click the Reboot now button. 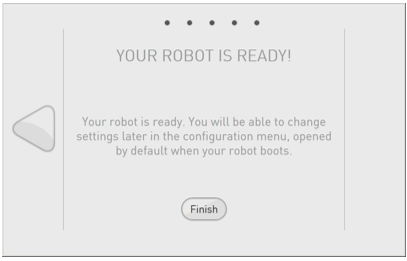 You have not customized the name of the robot. Click the Finish button to access to the NAO Web page. Remove the Ethernet cable and put back the hatch behind the head of the robot. Follow Accessing the NAO Web page to discover more settings such as Language, Volume and Time zone.